As more people become aware of environmental issues, businesses are responding with green marketing campaigns. Many are also establishing more sustainable practices in their business operations. While Las Vegas casinos aren’t the first place one would think of as being eco-friendly, the CityCenter development is in fact a leader in green practices. Cindy Ortega is a senior vice president for MGM Resorts International. She is head of the sustainability division of the corporation, a position created specifically for her. Under her vision and leadership, the CityCenter project was awarded LEED Gold certifications. 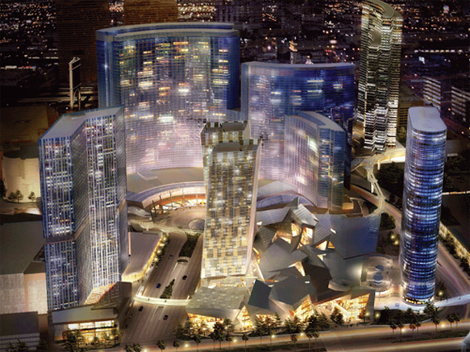 While the Aria Casino in the CityCenter project has all the trappings of a typical casino like custom poker chips, gaming tables, slot machines and the like, it also shares the numerous green features of the entire complex. The hotel rooms in the Aria have automated systems in place that adjust curtains and turn off unused lights to save on energy. Thanks to these and other features, the Aria is the biggest hotel in the world that carries LEED Gold status. The CityCenter complex incorporates many green features. The cabinets emit no toxic fumes. The complex has its own energy plant. Waste water is reused and the fixtures use up to 39 percent less water indoors and 60 percent less outdoors. The project’s limousines are even eco-friendly, since they run on compressed natural gas. Thanks to its green features, the project is estimated to save the equivalent of the energy used by 7,700 houses. Ortega was instrumental in creating the sustainable development in Las Vegas, but her duties didn’t end there. She is responsible for initiating green practices in the entire MGM Corporation. She believes businesses have a duty to consider how their practices impact the local community and the world. By incorporating eco-friendly practices, the business will be viewed favorably by employees, which will have a positive effect on employee morale. In essence, being a good corporate citizen also makes good business sense. It isn’t surprising that Ortega is so effective as an advocate for sustainability. A study by Hansa-GCR found that businesswomen are more likely than their male peers to consider the environmental impact of their decisions. This was confirmed by a report issued by The Center for Women’s Business Research. According to their research, 77 percent of women in business believe sustainability in making purchasing decisions is moderately or very important.